Stream or download my Madrid show on RTV! 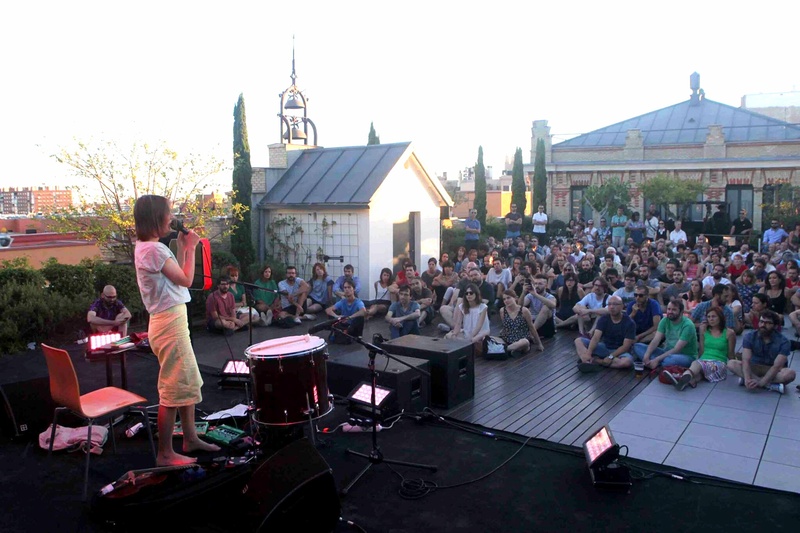 I had a truly amazing time in Madrid at La Casa Encendida for their Terraza Magnética series last Sunday 14th August, and you can listen to the full concert on Spanish national radio RTVE here (the concert starts at 1h00 and ends around 1h55, and you can either stream or download the programme). I hadn’t played in Madrid for 10 years, and last time was also in La Casa Encendida, so I’m really grateful for their repeated invitation! Muchisimas gracias a ellos y a Andrés Nuarbe de Rotordiscos en particular, y a vosotros el publico! « 25 YEARS OF MUSIC-MAKING AND 10 YEARS OF BEING A PROFESSIONAL MUSICIAN! You are currently reading Stream or download my Madrid show on RTV! at colleen.